I like alternating my trips between traveling through cities and going to see amazing natural wonders. 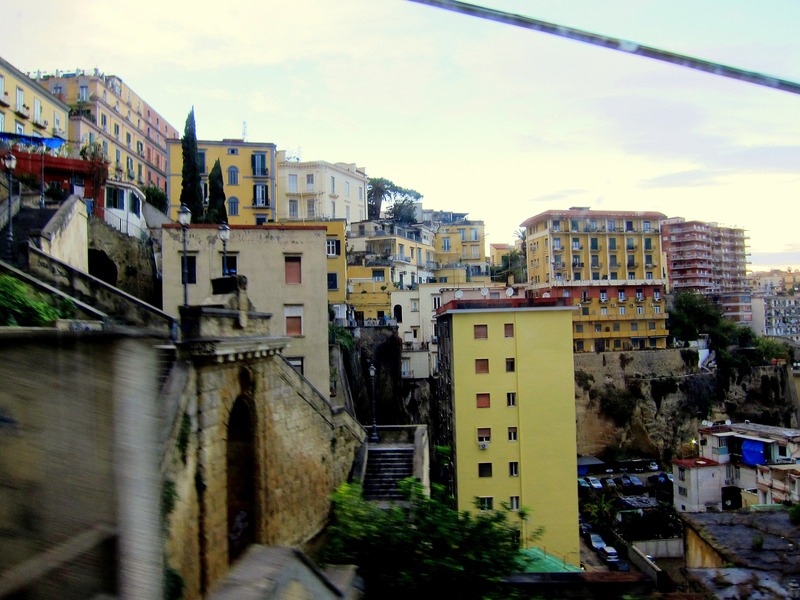 When I travel to cities I like to learn about history (it is definitely more interesting now than when I had to learn it in high school), and I like to see the culture and lifestyles of the cities. But traveling to cities doesn’t usually give me the same kind of high as seeing amazing natural views, such as geysers, mountains, and overlooks of canyons. Which is why when I travel to cities I absolutely love going to hilly European cities such as Porto and Coimbra – I love looking out on a city from above and appreciating that the city was built on hilly, mountainous terrain. 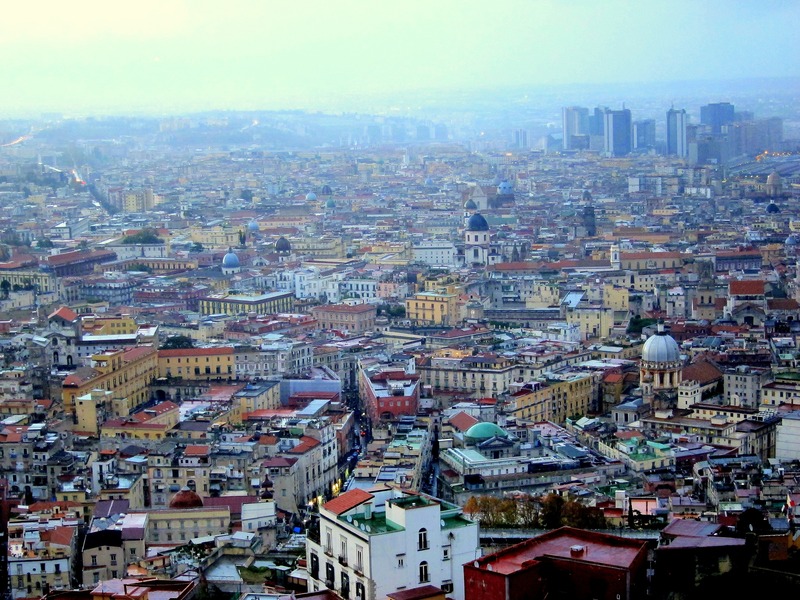 I knew Naples was a hilly city, so I wanted to see it both from the bottom up and to get an overlook of the city from the top. 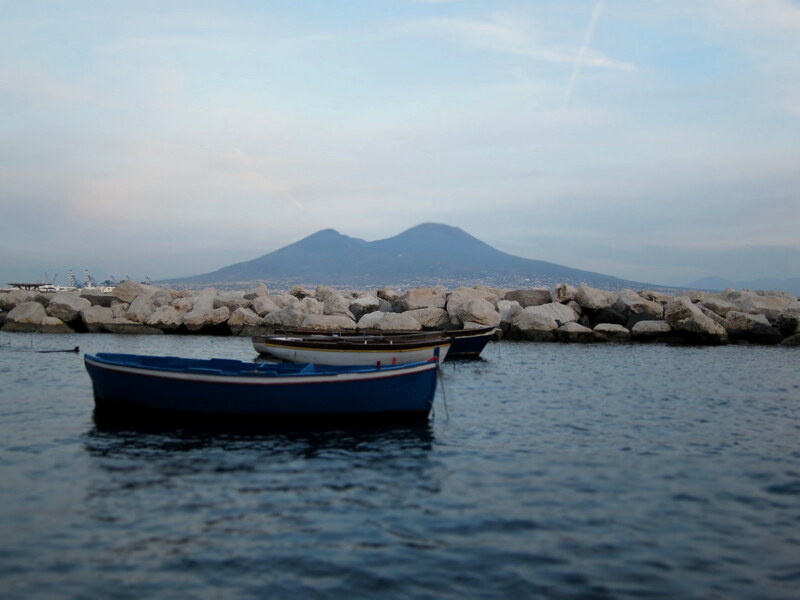 To see Naples from the bottom is easy – just take a stroll through the beautiful Santa Lucia neighborhood and you will see the coastline of Naples, Mount Vesuvius, and hilly Naples. 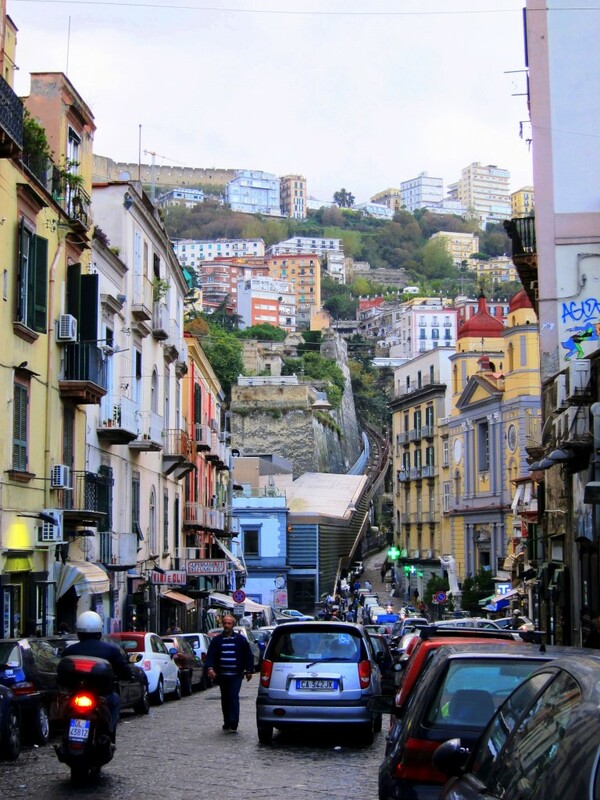 But to see Naples from the top of the city involves a bit more work – you can either hike uphill for a half hour, or take one of the funiculars. You see the castle all the way on top? That’s where we’re headed! 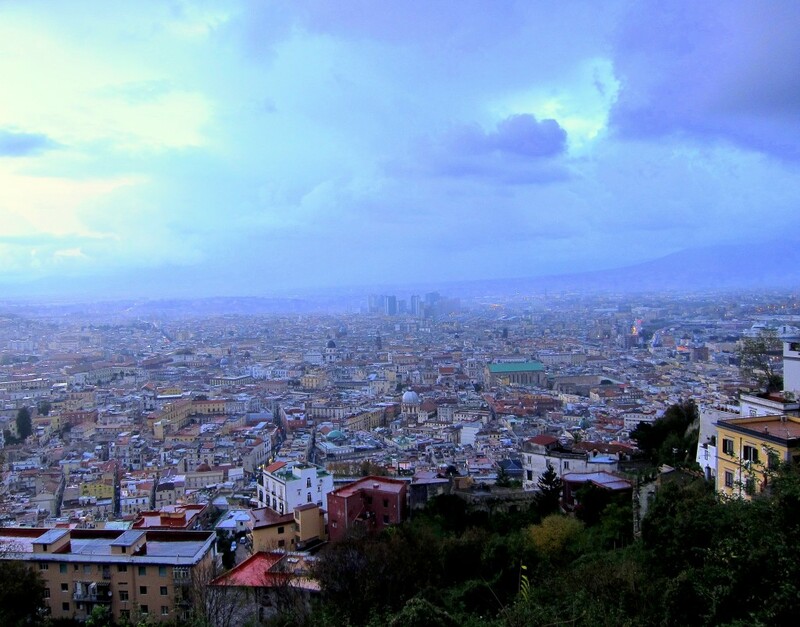 We went up to the Castel Sant’Elmo area. We had no intention of going into the castle, but just wanted to see Naples from the top and to explore a new area of the city. Sadly, it was rainy and gloomy. I bet the view would have been amazing on a sunny day! We hung out up there for a while hoping for the weather to change, but we had no such luck. Luckily when we went to Florence a few days later the weather cooperated much better. 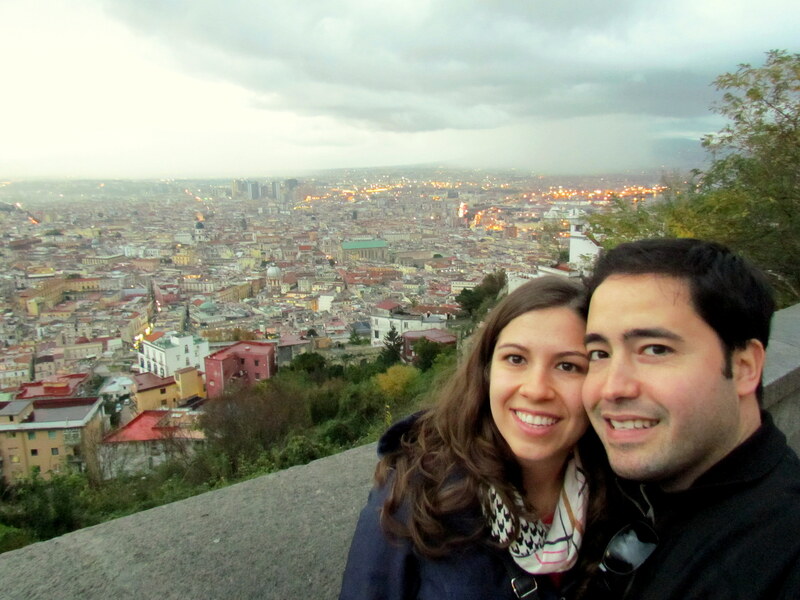 But for now, we were still happy with the beautiful views in Naples that we got to see.